How to cut length of stay, lower readmissions and raise patient satisfaction with a Dedicated Observation Unit. A dedicated observation care unit forms an essential component of the integrated network of inpatient and outpatient services that combine to achieve the triple-aim: improved patient experiences, better outcomes and lowered costs. US Acute Care Solutions can point to years of data - and outcomes - that prove the immense value of a dedicated observation care unit. 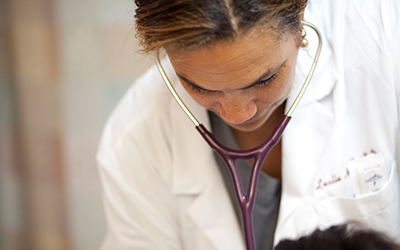 this, and provides a home for specially trained providers with clear protocols and procedures. • Specially Trained Observation Providers. USACS has invested heavily in training programs for NPs and PAs to ensure superior observation care. Observation patients are distinguished by a very specific set of symptoms and presentations, allowing USACS to tailor its educational programs around the specific situations and criteria our providers regularly encounter. • Quality & Efficient Care. As in USACS Emergency Departments, Observation Units are furnished with a variety of quality control mechanisms and efficiency protocols. 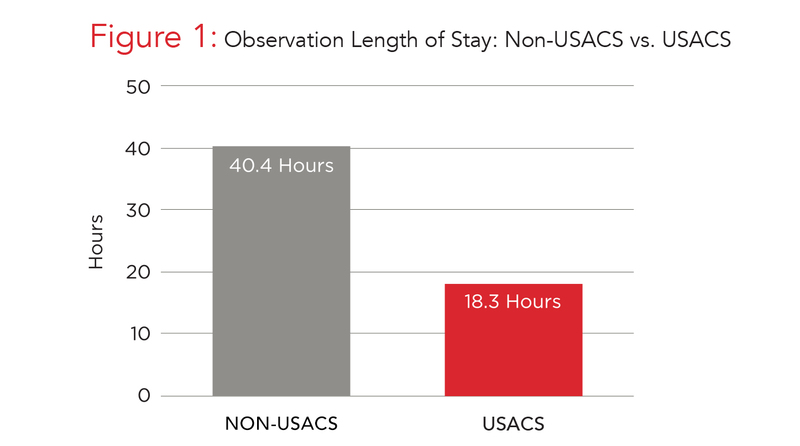 All USACS Observation Care units have achieved an average length of stay under 20 hours. Failure to adequately define what qualifies as an observation patient and failure to adequately educate the care providers on the criteria are hallmarks of an underperforming observation care program. USACS educates both the Emergency Department providers and the Observation Care providers on the criteria for observation care patients while continually evaluating individual protocols to calibrate the scope as appropriate. While USACS units have seen dramatic falls in Lengh of Stay for its Observation Care patients, the introduction of a dedicated USACS Observation Care unit also contributes additional benefits, including reduced Left Without Being Seen (LWBS) rates in the Emergency Department, reduced reliance on diversion and boarding hours, and reduced need for management by hospitalists. Hospitals also face less exposure to RAC audits. Finally, the addition of a dedicated Observation Care unit has helped USACS partner hospitals position themselves for the future. As a result of improved ability to manage growing patient populations, hospitals now face less pressure to devote resources to facilities expansion and managing overcrowding. Instead, it can focus on delivering quality and efficient care to their communities.